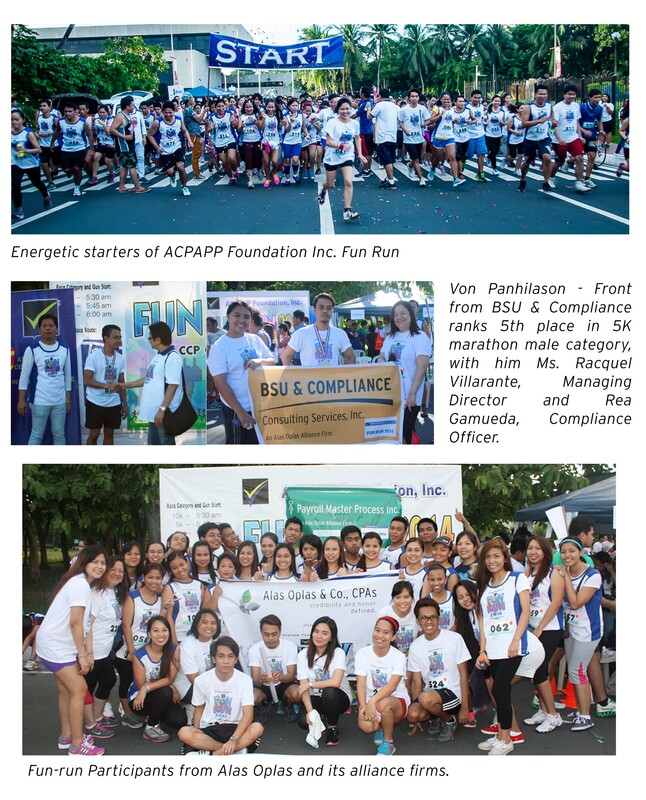 ACPAPP Foundation Inc. organized a Fun Run Event last June 28, 2014 at CCP Complex Pasay City with the leadership of their President Mr. Jun Cuarisma. Over 500 participants joined the 3K, 5K and 10K category male and female - separate, which includes Alas Oplas & Co., CPAs and its alliance firms (BSU & Compliance, G Cross Systems, Payroll Master Process and RRU Management). The purpose of the event is to raise funds for its growing number of scholars.